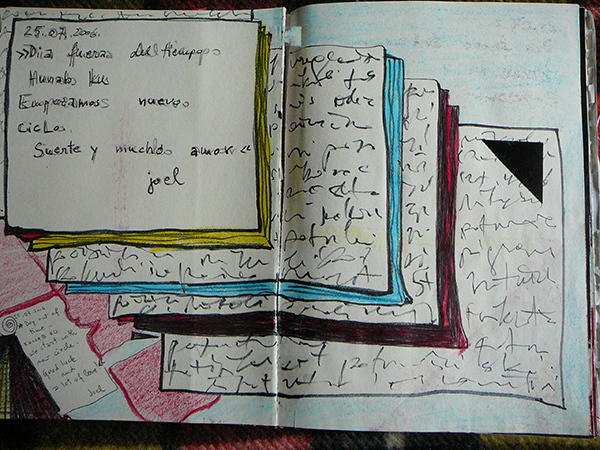 I have been using diaries to express myself since I was a child. 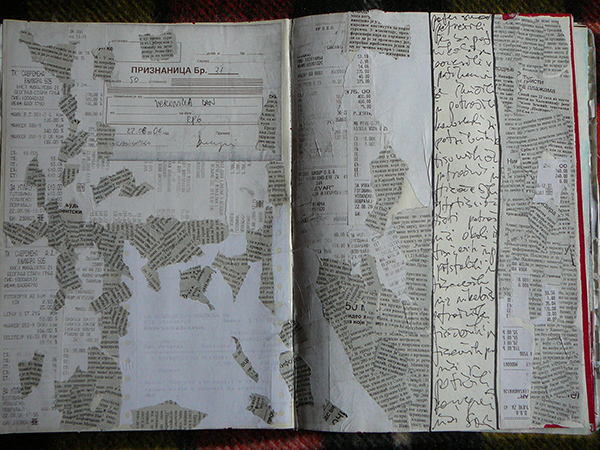 At first, these were just the usual personal diaries where I wrote down my feelings about the events in my life. 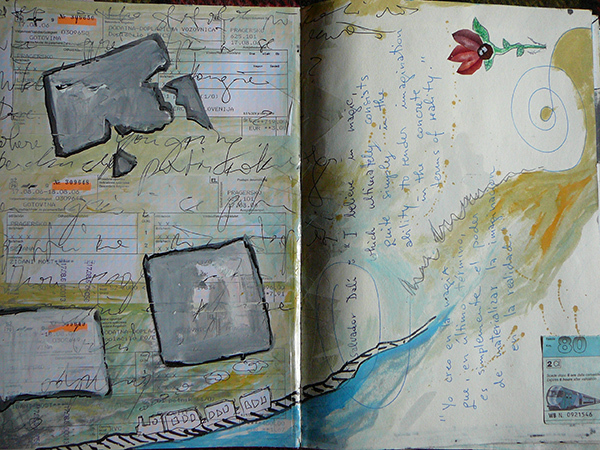 With time, these diaries became treated more aesthetic and visual curated, starting to include on the pages poetry, drawings, colors, fliers from the different events, maps from the cities where I’ve travelled and postcards, pieces from newspapers or mirrors and other items found in everyday life. 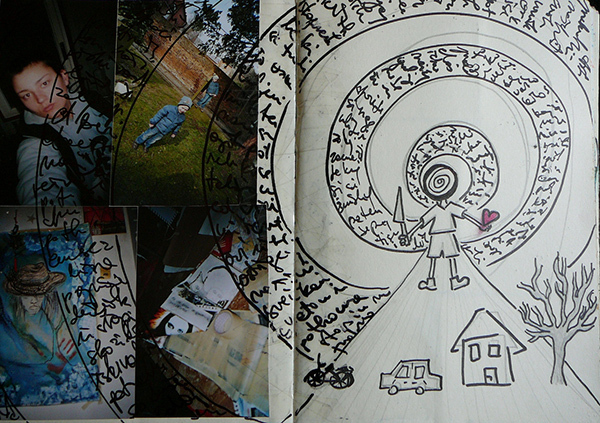 Collating these items in a book creates the story that is more than an autobiographical journal; it also presents a snapshot of the society in which I live. 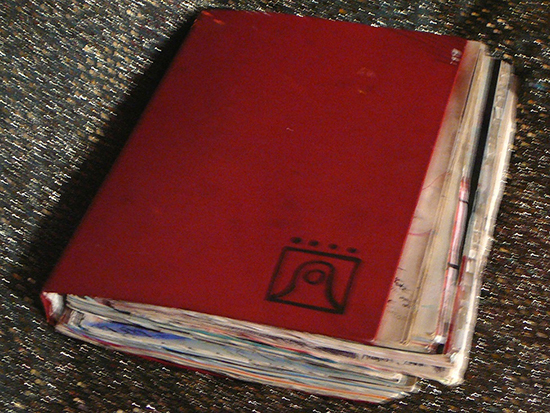 It’s also called “Story for the hi-story.” There are around 30 of these diaries from different periods of my life, in various forms and dimensions. 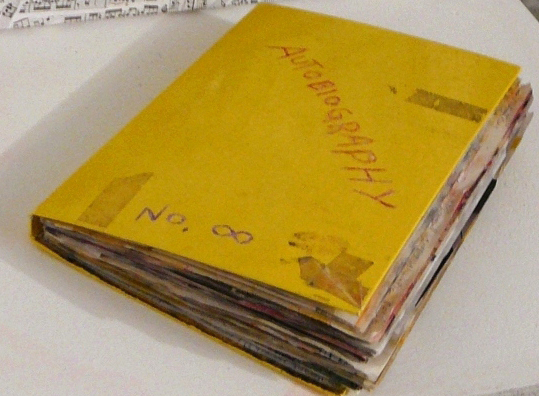 All together were first exhibited in an open suitcase at the Academy of Fine Arts in Venice 2005, after which they were displayed separately on different occasions. 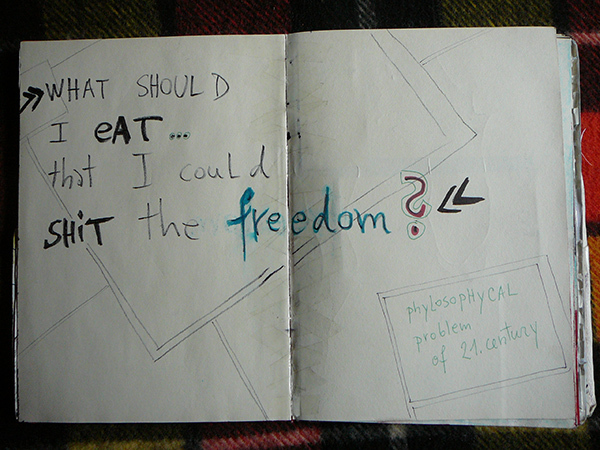 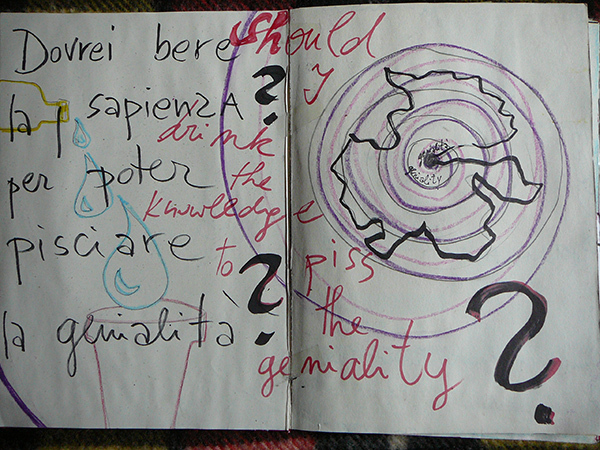 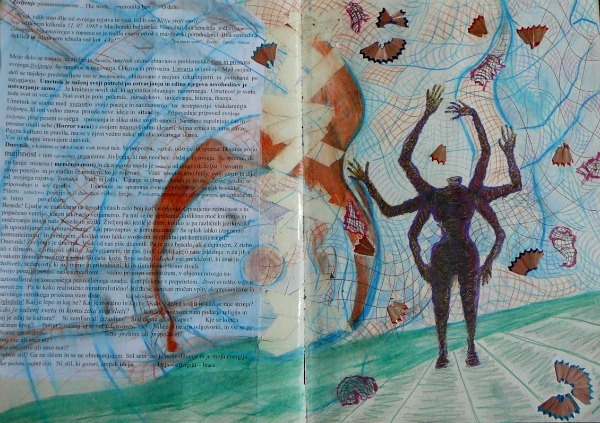 One of the art diaries, named “Living and knowing”, with dimensions 20x20cm, was also part of the International exhibition of artists’ books, called Labyrinth, in Sweden 2006. 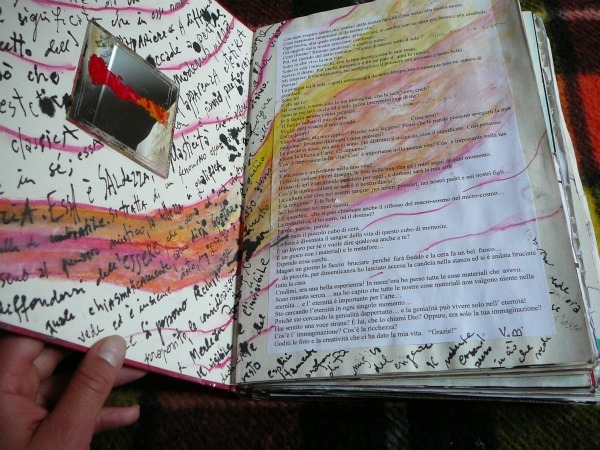 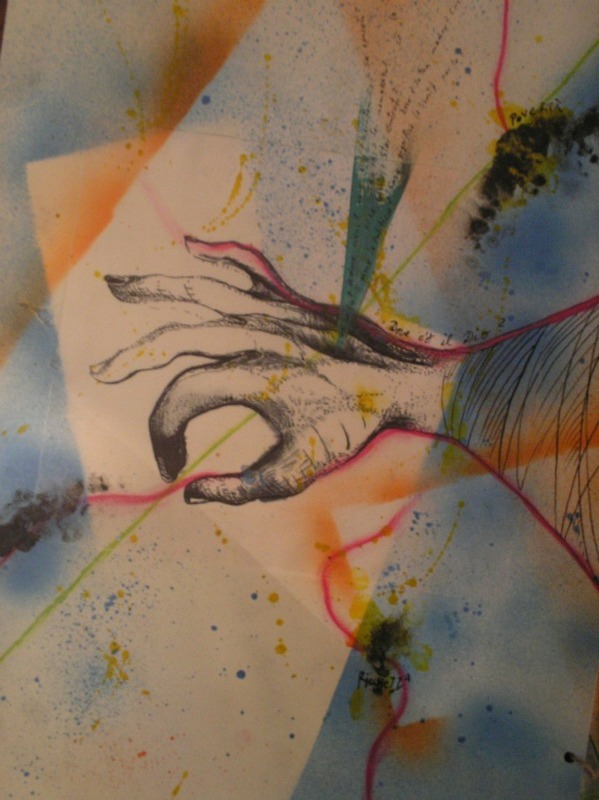 Later on, some of these art diaries were exhibited also at group show “Real Presence” in Belgrade, Serbia in 2006, at personal exhibition “Note e colori” at Circolo Bertolt Brecht in Milan, Italy in 2007 and at solo show “Cordone ombelicale od ombelico cordonale? 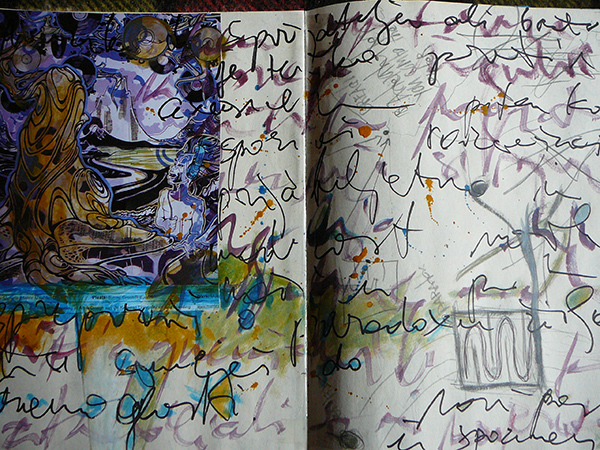 !” in Venice, Italy in 2008. 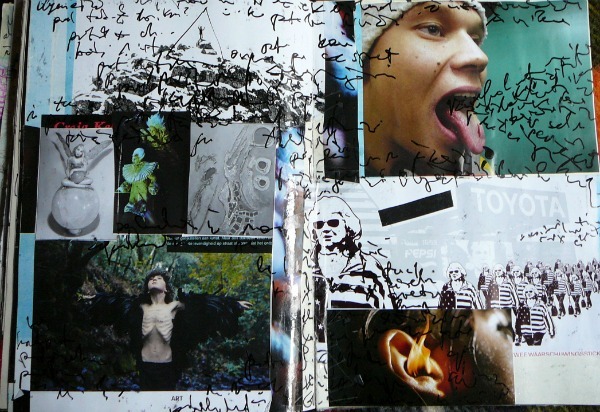 “Autobiography no.eternity”, made in 2004. 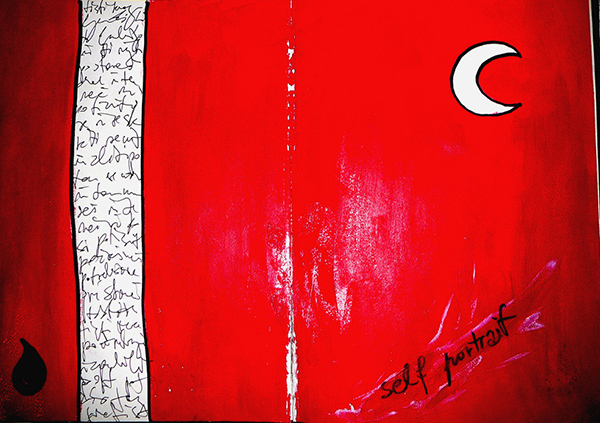 “Auto-existance red Moon”, made in 2005. 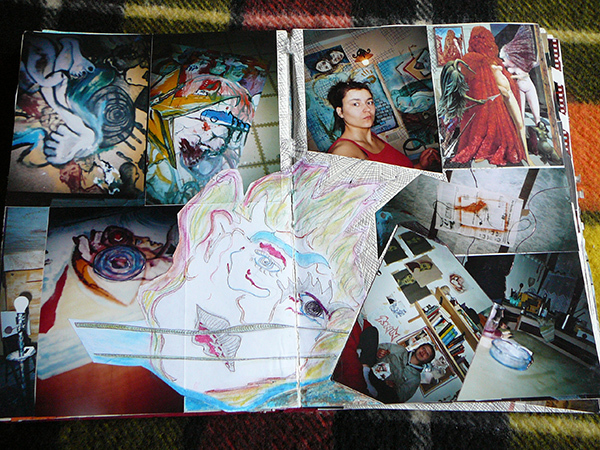 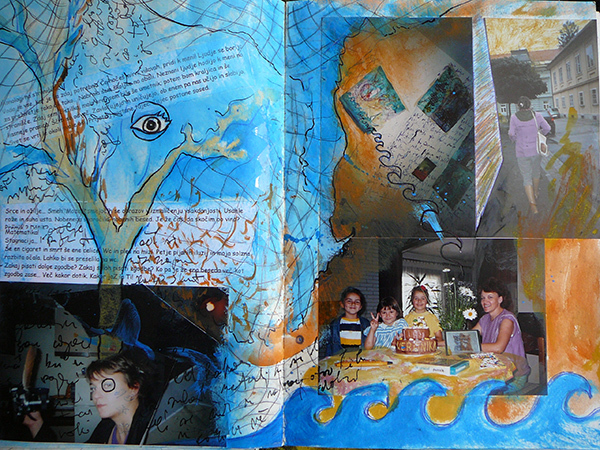 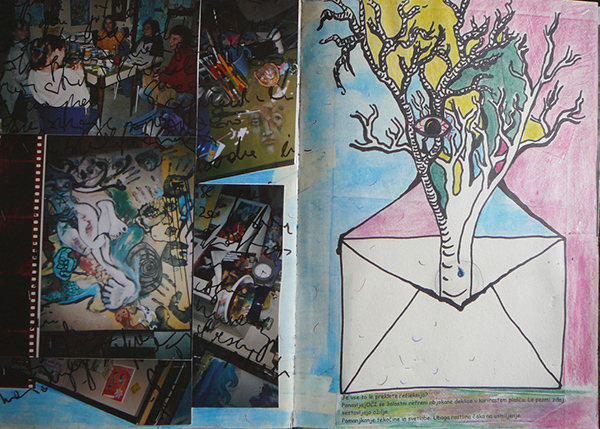 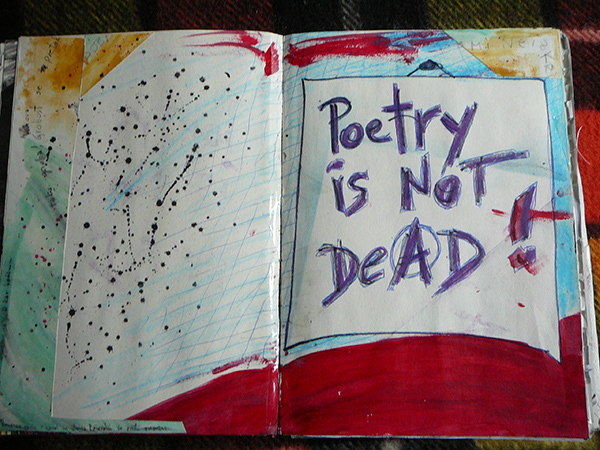 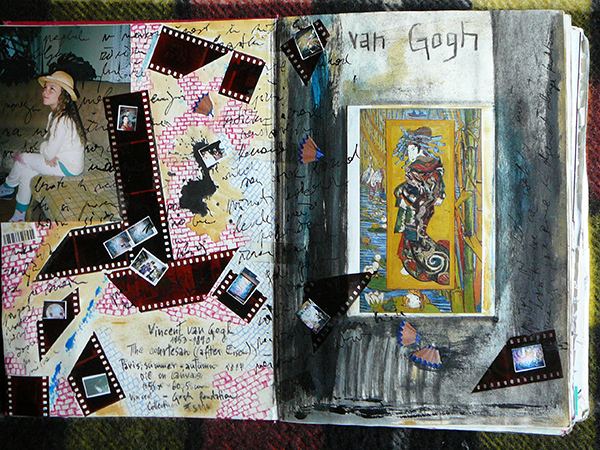 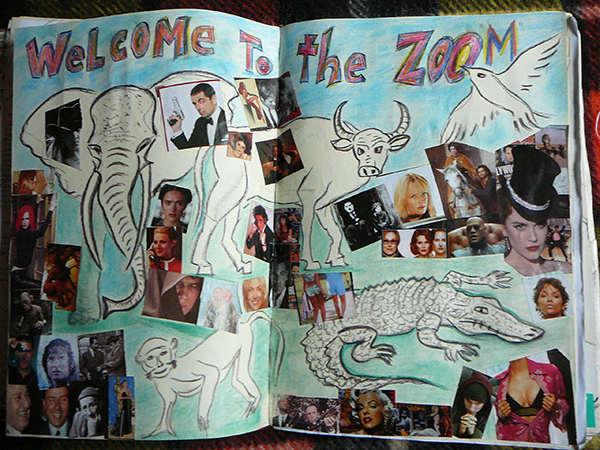 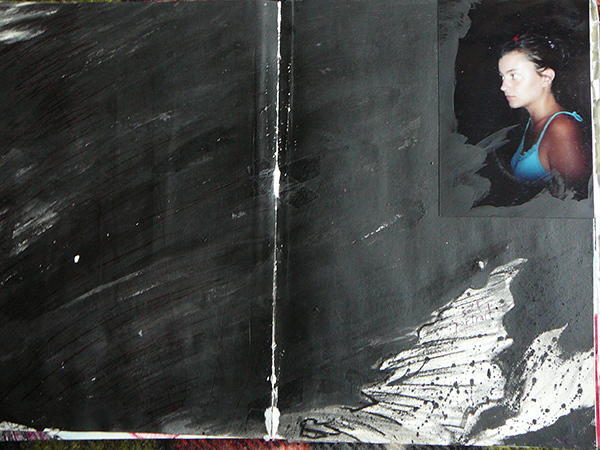 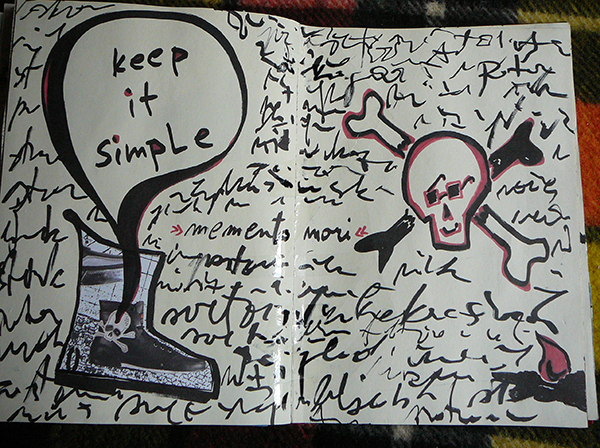 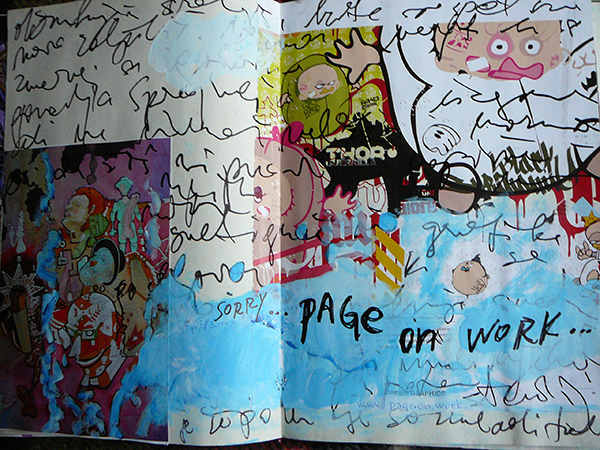 Photos of pages from the artist´s book called “Auto-existance Red Moon” made in 2005.